In JA Tsugaru Hirosaki, I was able to report functional indication food to Consumer Affairs Agency as apple seika. The functional indication report as the perishables of the apple is the first case. 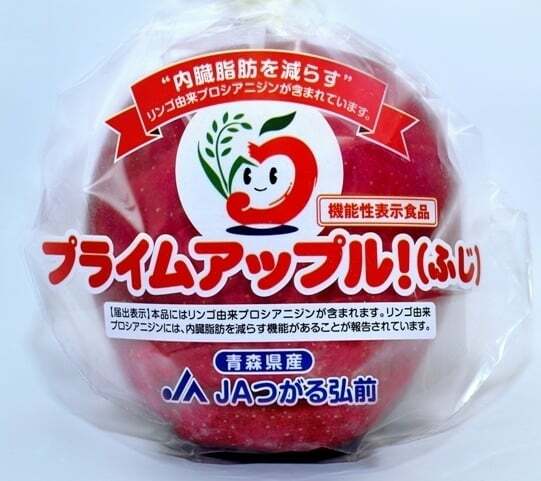 I send the functional indication food of the apple from the best apple production place in Japan. The functionality that I am going to display Procyanidin derived from an apple is included in this article. It is reported in procyanidin derived from an apple that there is a function to reduce internal organs fat. Quantity of intake indication per day Using one (300 g of edible parts) per day as an indication, please just have it. Attention in the intake Illness heals by taking it in abundantly, and health does not increase it more. Carry out management of cultivation, the shipment so that content of the procyanidin derived from an apple becomes than an indication level, but a prime apple! (wisteria) may be less than the quantity that content of the procyanidin derived from an apple is displayed under the influence of the weather for perishables. This article was not aimed for a diagnosis, treatment, the prevention of the illness. When you take pharmaceutical products to a doctor when you are infected with illness, please talk with a doctor, a pharmacist. When you felt an accident in physical condition, you cancel an intake immediately, and please talk with a doctor. The eating habits on the basis of staple food, vice-greens the balance of the meal. The food which could display functionality was limited to the nourishment function food which adapted to a food for specified health use (tokuho) and the standard standard of the country that a country admitted individually until now. Therefore a "functionality indication food" system began newly in April, 2015 to increase the choices of the product which displayed functionality clearly, and that consumers got the right information of such a product and chose it. In the responsibility of the company, it is the food which displayed functionality based on scientific grounds. The information about grounds of safety and the functionality was reported to Secretary-General of Consumer Affairs Agency before sale. But, unlike a food for specified health use, I did not receive individual permission of the Secretary-General of Consumer Affairs Agency. ※For more details, please refer to Consumer Affairs Agency HP. 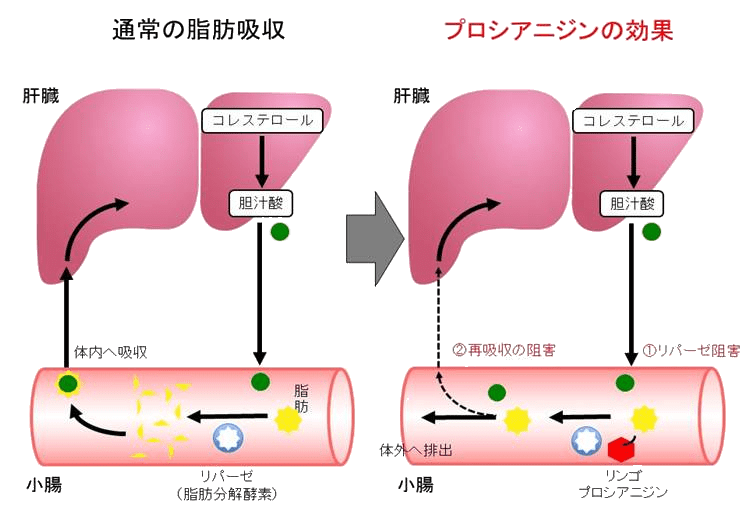 ・"What as for the functional indication food"
Procyanidin occupies around 50-60% of polyphenols with the apple with polyphenolic kind that several catechin united. When I ate time and the astringent persimmon which drank red wine, I feel bitterness and convergence taste. An ingredient participating in this taste is procyanidin. A strong antioxidant action and various menstruation functionality are reported in procyanidin derived from an apple. The action mechanism about the internal organs fat reduction of the procyanidin derived from the apple which is a functional participation ingredient is just exhausted as a flight without fat being absorbed in the small intestine by inhibiting lipase activity to break down fat into a fatty acid and monoglyceride at the duodenum. As a result, it is guessed that I reduce internal organs fat because accumulation of the fat is controlled.